This is what was debatable. At no point does the New Testament say that tithing ended, nor does it say that it continued. What does it say about tithing? Absolutely nothing. All the rest I said is indeed grabbing at thin air because there is no mention of it in the NT. This means that nobody knows with any certainty and it's a matter of best guesses. A keen student of the Bible can tell if and when tithing ended without it being specifically mentioned. What was the purpose of the tithe? The Levitical priesthood ended in 70 C.E. with the destruction of the Temple in Jerusalem by the Romans. There was, therefore, no longer any need for the tithe. I'm sure that's what your told and that you believe it because they said so. I have no evidence to the contrary so perhaps what you say is true. But the underlying thing is that giving anything at all to your church's leadership, then you are paying them. If they get nothing whatsoever then your grand claims that absolutely nobody gets paid would be accurate. Anyone getting anything at all means they are paid. Your words here seems to be confined to getting paid. You are mistaken and you didn't read carefully! "No one gets paid a salary and no collection is ever taken. The work is operated entirely on voluntary contributions. Over the years it has proven to be quite adequate. Show me another organization like this." Do you really think that pittance constitutes a salary? What are they supposed to report on their 1040 form? I say "Prove your charge!" Do you have evidence that anyone gets a salary? No evidence, no case! You're nitpicking about words. Clergy is the general term for church leadership in any given religion. You can say that it is not a clergy and that's fine and well, but unless there your religion is completely disorganized and leader-less at all levels, then it has a body that fits the definition of "clergy." But fine, we'll use your preferred words if it makes you happy. EVERY one of Jehovah's Witnesses is a minister, according to Jesus' description. Amazing! This means that all these voluntary contributions are automagically teleported from your wallet or bank account your church. Very impressive. Either you don't know what "collections" are, or you're pretending! No one is asked for a contribution as is praticed in most religions, and no tithing tax is levied. Now if you mean that no collection plate gets passed around during services, then the JW's are certainly not unique in this matter either. But if you mean that nothing whatsoever is done to collect any money - then that would either mean magic and teleportation as I already said or that nobody contributes anything ever because they have no means of doing so - since nobody actually collects contributions. Dance around all you want to! I said no one get a salary. That's a fact! In terms of non-paid leadership, no you aren't. But it's that nature of any religion that claims to be the only true church insist that you are unique. As I've already said, the LDS are a clear duplicate of everything you're insisting that makes JW's unique. Mormons levy the tithing tax even more vigorously than most religions. With this method in place, why would they have to make collections at their services? "Amish practice the law of tithes as well as contribute offerings to care for their own. LDS practice the law of tithing, and additionally practices fast offerings and has instituted other welfare programs." You're unpaid leadership might function differently than these other examples, but at the end of the day, they're all unpaid. As you should clearly see, we are not talking about a paid clergy despite your effort at twisting words. Jehovah Witness has a highly occultic origin and leaders. I believe many are sadly uninformed and led by wolves in sheep's clothing. Take this information as that and look more into it. I'm not a Jehovah's Witness, nor am I interested in becoming one. That said, I absolutely detest posts that attempt to "expose" any denomination as "the enemy." Ninety-nine times out of a hundred, they are doing nothing more than slinging mud. If I wanted to learn about Catholicism, why would I ask a Buddhist to explain the religion to me? If I were interested in learning more about Judaism, why on earth would I go to a Muslim with my questions? People who find it necessary to undercut other people's positions to make theirs look good, generally don't have much of a position themselves. I'm getting a bit tired of saying this but no I'm not trying to twist your words around. No I'm not trying to attack you. I don't believe in the JW faith and doctrine, but I'll defend their honor any day of the week. They are good people and far too much idiocy gets circulated about them that is completely false. On that point, I agree with Katzpur 100%: If you want to know what JW's believe ask a JW -- and I have done exactly that before. And anytime I hear about some terrible thing that the Jehovah's Witnesses did, I don't just take it with a grain of salt, I keep the whole salt shaker handy. Odds are somebody made it up to stir up hate against JW's and this just makes me sick every time I see it happen. Now as to our friendly little debate here, no you haven't established that there was ever a cessation of tithing as a rule or a law, though I think you're pointed in the right direction: Early Christians appear to have dedicated everything and thereafter held all their property in common. But how that worked exactly is impossible to say. And whether tithing no longer operated at all are completely unclear. Having all possessions shared and in common doesn't function well unless you have a completely self sufficient community with no unbelievers in it and where everyone consents to it. So if a 1st Century Christian did not live close enough to other Christians to have all possessions in common, what then? Was tithing or something like it still in effect in that case? Or was nothing expected of that man? Impossible to say, we simply don't have enough detailed information on the 1st century Christians to go on. I'm not really sure why you're so determined that your religion is so very unique and unusual. Why is it so important to you? 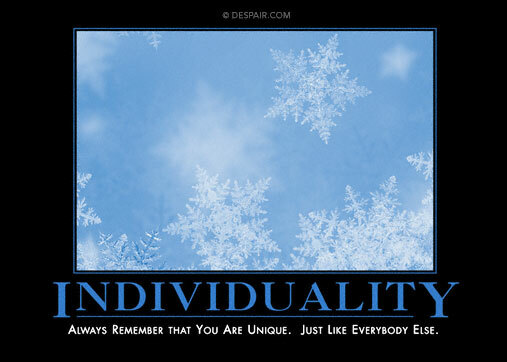 In the end, who isn't unique and different? And at what point does obsessive non-conformity stop being a good thing and start to be a really bad thing? Just a thought. I do note that you quoted the Watchtower as a reference in order to make your point. Is that considered authoritative for establishing doctrine for JW's? I've heard that it is, but I'd rather hear how that works from a JW and not somebody else. what do you think of JWs? and has anyone else done something similar to what i am doing just to please family or friends? They are Christian cult originally started by Charles Taze Russell. He was deemed as a false prophet after making two predictions about the coming day of Jesus Christ in which he was wrong both times. He had ties to Freemasonry (in which at the 32 and 33 degree levels it is revealed to them that they worship Lucifer). Go to his grave which is a pyramid shape tombstone with Masonic symbols. They will never admit that though. But in actuality, they think that their Watchtower is the only group who can interpret the Bible which is why they rewrote their own Bible calling it in the New World Translation. He had ties to Freemasonry (in which at the 32 and 33 degree levels it is revealed to them that they worship Lucifer). How do you know? Are you a 32nd or 33rd degree Mason? If you aren't, your expertise is highly questionable. So's everybody else. No two denominations are alike. LDS practice the law of tithing, and additionally practices fast offerings and has instituted other welfare programs." [/quote]I'll make you a deal, wilson. You be the expert on your religion. I'll be the expert on mine. Ah the other "hated cult" Freemasons. Of course almost every single person who signed the Declaration of Independence or took part in writing the Constitution was also a Freemason. So if we buy into what you're saying here, then the United States of America was not founded on Christian principals. It was founded by a bunch of secret Satan worshipers. Which must mean that the USA is ultimately a carefully disguised tool in the hands of Satan. Since you are so well informed, tell me - what do they teach that is unscriptural? What do they DO that is unscriptural, illegal, immoral, unethical, or downright ungodly? Just make sure that you can prove whatever charges you make.